Ken Mills of WRITESTUFF AUTOGRAPHS welcomes you to his updated Online Shop which represents over 45 years indulgence in a passion for collecting Genuine Autographs. From humble beginnings collecting the autographs of Pop Stars in the early 1960ï¿½s in his hometown of Morecambe in the North West of England, Ken has gone on to expand this fascinating hobby into a business he can now proudly share with his many regular customers around the world. The expertise and knowledge gained over such a long period is key to being able to offer authentic autographs and in an industry which has seen a massive rise in the number of forgeries on offer over the past 10 years it really does pay to buy from someone you can trust. 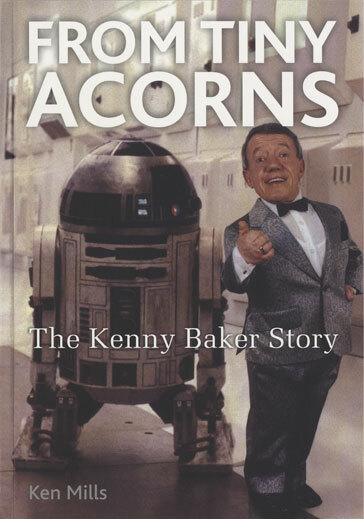 Through my friendship and association with Kenny Baker the English actor and entertainer who is best known as the man in ï¿½ R2D2ï¿½ in the Star Wars films I wrote and published his biography ï¿½ From Tiny Acorns - The Kenny Baker Story ï¿½. Personally signed copies of the book are available to buy through the website but is also available as a ï¿½downloadï¿½ on most good Internet shopping sites such as Amazon etc.